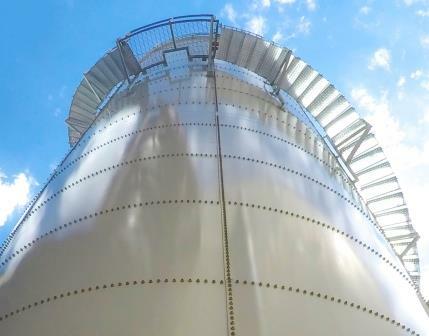 CST Industries expands its product portfolio with TecTank FP, a jackable flat-panel bolted tank for the dry bulk storage. TecTank FP was designed based on the designs from Peabody TecTank, Columbian Steel Tank, and Columbian TecTank. With the addition of TecTank FP, CST now provides a flat-panel, jack-built tank, TecTank CP, a chime panel scaffold built tank, and factory-welded tank designs. All tank designs are capable of safely and economically being installed on any site imaginable.